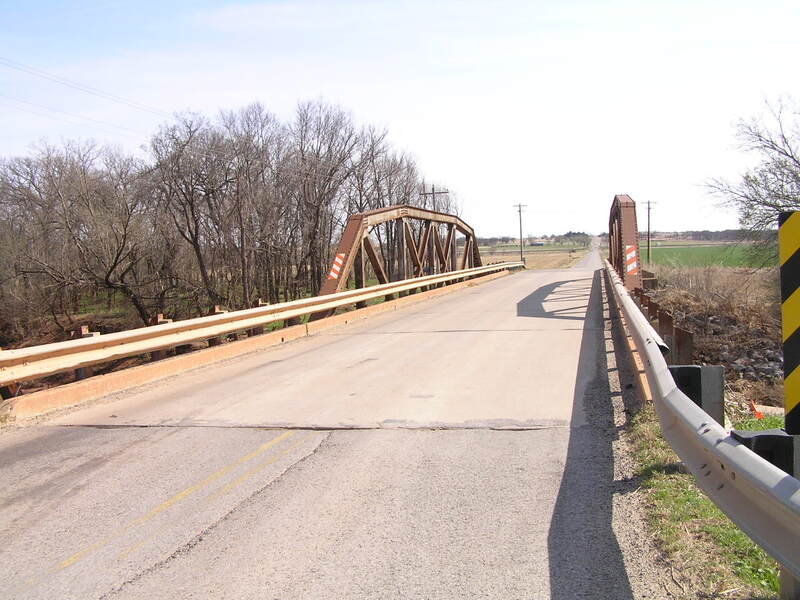 Built in 1939, this riveted Camelback pony truss with steel stringer approaches spans Cottonwood Creek near the community of Seward. 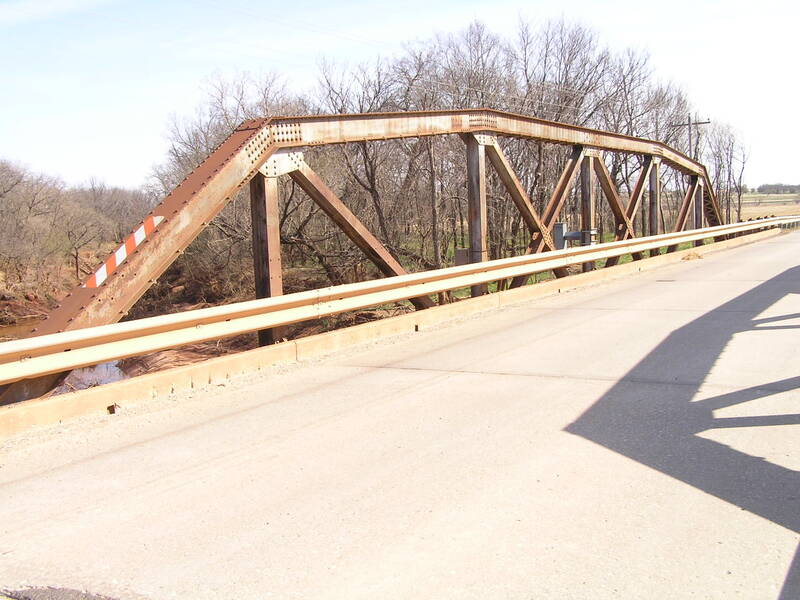 Below, this side view is as flat as an elevation in a set of plans and makes the geometry of the camelback truss very clear. Below, a close-up of the truss from the deck. 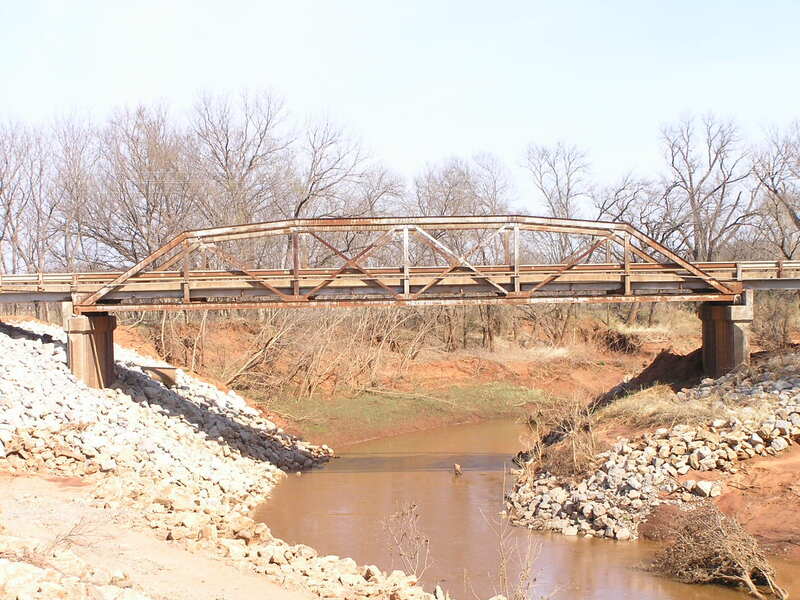 Overall, this bridge seemed to be in fine condition and is a good example of a larger state-standard pony truss.